In just a few short days it’s possible to get a real flavour of Porto, the city that gave the world port wine. This vibrant Portuguese city by the sea was awarded UNESCO World Heritage status in 1996, but it certainly isn’t stuffy. It has heaps of character. 1. You can’t do better than a free walking tour when taking in a new city. It’s a wonderful way to get your bearings. Turn up at the statue of Dom Pedro iv in Praca da Liberdade at 11.30 or 17.30 any day of the week and you’re in for a fun and informal treat. 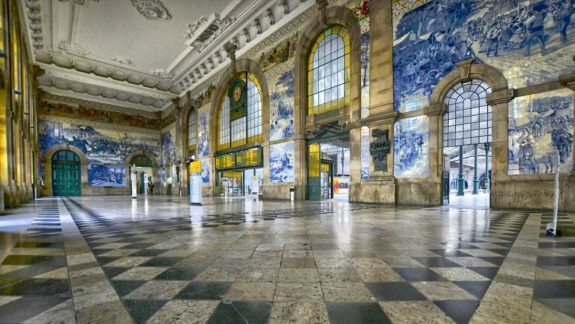 Following in the footsteps of our friendly guide, we glimpsed many of Porto’s finest squares; the fragile beauty of the Clerigos Tower; spectacularly tiled Sao Bento railway station; Lello’s bookshop, of Harry Potter fame, and the mighty Cathedral. Pausing to admire the views and recapture our breath on the Dom Luis Bridge, we looked down on the bustling quayside. The Metro rumbles past at close quarters and with amazing regularity. When the 2 and a half hour tour was over, we joined our guide for a meal at a riverside cafe- our opportunity to experience the local dish, the francesinha. (2 thick slices of toast, filled with a variety of meats, smothered in cheese, and served in a bowl of piquant sauce) The meal was around 7 euros. With a non- obligatory tip for our guide, and excellent company, it was an extremely good value day. It can be booked online in advance with Pancho Tours, or you can just turn up. 2. Hop on an open top bus. If you don’t have the stamina for walking, open top buses are everywhere in this city. A day ticket will let you hop on and off at will, and you get a commentary along the way. This is an excellent option if your time in Porto is limited. 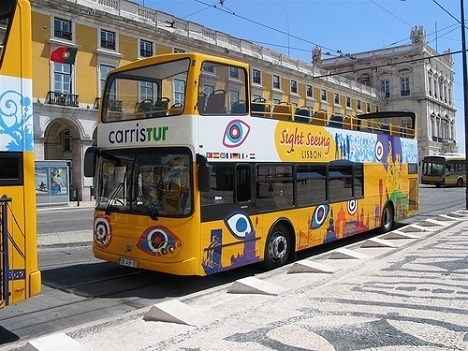 The Yellow Bus Official Sightseeing Tours run every day and discounted tickets are often available for online booking. 3. Take a brief but beautiful cable car ride. 5 euros will buy you a superb view of the riverside. 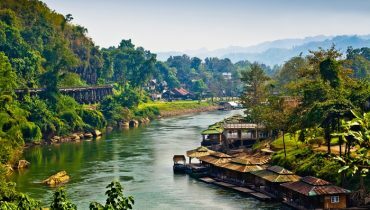 Even if you don’t have much of a head for heights, you’ll be so busy gazing at the boats and bridges that you’ll have arrived before you know it. 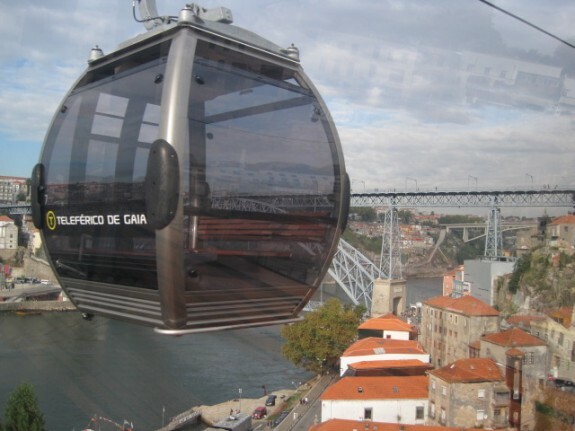 The cable cars run from the far end of the quay on the Vila Nova de Gaia side of the river. This is where the wine cellars, or “caves”, as they are known locally, are situated. After your ride, stroll back down for a little wine tasting. It would be rude not to, wouldn’t it? If you don’t mind a struggle back up the cliff on foot, Taylor’s is the view to beat them all, and a lovely drop of port too. You could cheat and go up by taxi, or just select from one of the many riverside Caves, which include Sandemans and Calem. 4. Ride the Funicular. Cross back over the lower level of the Dom Luis Bridge for your next great view of Porto. 1.80 euro will buy you a ride up the vertical cliff face, and into the sturdy old town walls. 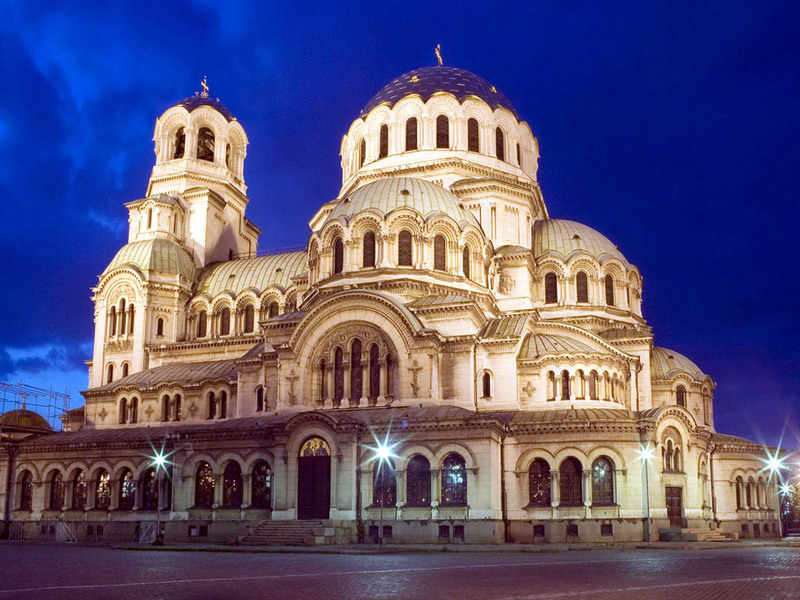 You are in prime position from here to visit the Se or Cathedral, with some outstanding views over the city. Admission is free, but the couple of euros needed to visit the exceptionally beautiful tiled cloisters is well worth the money. 5. Rattle along in a tram. Fancy a trip to the seaside? 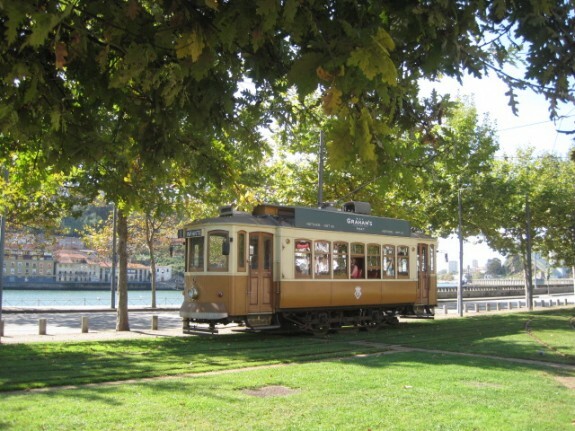 A tram ride along the banks of the river to Foz de Douro will give you an entirely different perspective on Porto. The trams run every half hour and the ride is a delight. The river gradually widens until it meets the sea and you dismount by the lighthouse. You can stroll along Passeio Allegre until a bar beckons you in, and sit watching the waves crash to shore. If you can tear yourself away, the promenade continues past the Castelo do Queijo (Cheese Fort!) and Sealife Centre, to the City Gardens and swimming pool. A single trip costs 2.50 euros, or you can purchase a day ticket which also gives you access to the Tram Museum, midway along the river bank. 6. Splash out on a Segway. 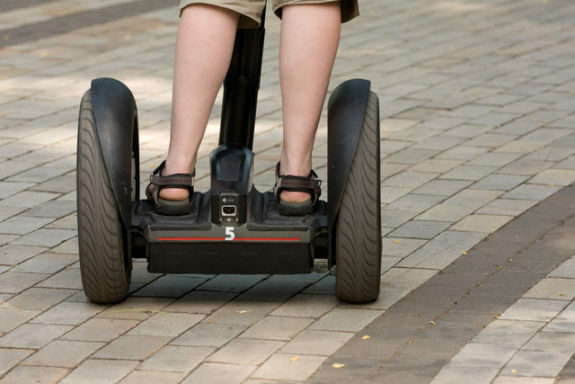 If you’re feeling a bit adventurous, or have some spare cash, a Segway Tour is a pretty cool way of seeing Porto. Bluedragon City Tours operate a safe and fun way of seeing Porto for around 40 euros. They even have a sunset tour I wouldn’t mind trying myself. Be sure to come to a standstill before admiring those views, or you could upend an innocent bystander. 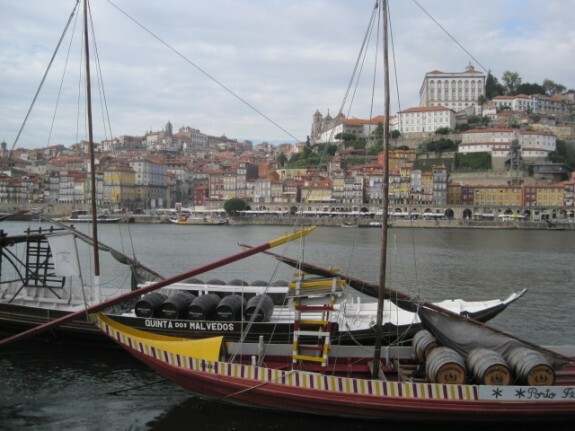 There are many luxury hotels in Porto, but you can also find good value. I stayed cheaply and centrally at B & B’s Porto Centro, in Praca de Batalha. If you’ve come for the nightlife and don’t mind a bit of noise, Vivacity Porto, in Praca Guilherme Gomes Fernandes, has cheap but beautifully presented rooms. Breakfast really isn’t necessary as there are so many delicious pastry options around. It’s fantastic that you are getting ideas from this article as well as from our argument made here. Porto is truly magical! I love the landscape and the Porto wine! Amazing post Johanna!